According to the Gartner Market Guide for Self-Service Data Preparation Analytics, [data and analytics] users spend the majority of their time either preparing data for analysis or waiting for data to be prepared for them. Pentaho Business Analytics 7.0 aims to be a single platform to prepare and visualise data from anywhere in the analytics pipeline. The main benefit to developers here is that they can potentially save time on servicing ad hoc analytics requests coming in from the business and get on with their ‘day jobs’. The assertion here is that no other platform lets IT and the business collaborate in this way, at such an early stage in the process. Other analytics vendors have tried to solve this by partnering with data prep vendors, but this means users still have to switch in and out of separate tools and the data can’t be visualised until the very end of the data prep process. “Before Pentaho had all the components, but they weren’t integrated like this: so IT could extract, prepare and blend some data, then preview a great big table of columns and rows of clean, blended data, but you couldn’t instantly see how a data sample would ultimately end up looking in an analytics dashboard,” said Clive Longbottom, analyst and service director at Quocirca. Also included in Pentaho 7.0 are greatly simplified deployment options and several new big data innovations – including increased capabilities for Spark use cases, plus expanded Hadoop data security integrations – which were recently unveiled at Strata + Hadoop World NYC. 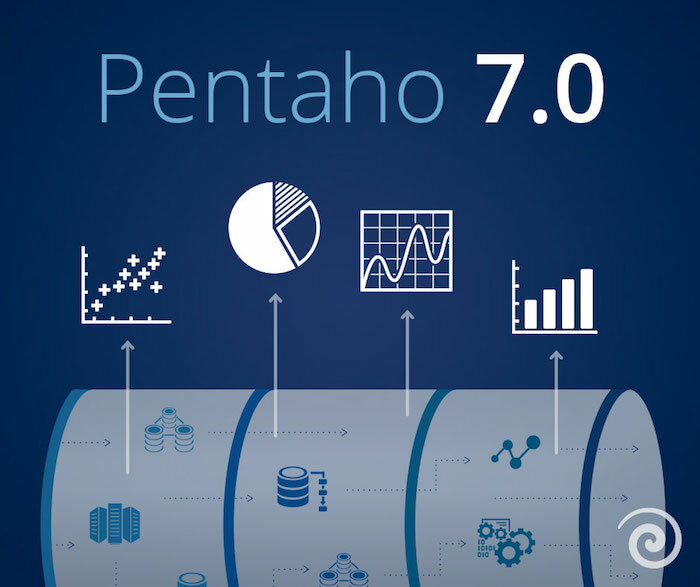 Pentaho 7.0 is said to enable data engineers and analysts to prepare and visualise data – at any step in the data preparation process – without moving between separate data integration and visualisation tools. “While business teams are demanding self-service access to fast, deep insights from a vast range of data sources, the standard data integration processes are still too rigid, time consuming and require multiple tools. With Pentaho 7.0, IT and business can better collaborate on data prep to drive the right analytics to the business faster,” said the company, in a press statement. “Businesses are looking for solutions that shorten the data preparation process and simultaneously overcome big data complexity. Pentaho 7.0 offers a truly integrated data prep and business analytics platform, easing collaboration between IT and the business by removing the need to switch both context and tools – something no other point tools in the market currently deliver,” said Donna Prlich, Senior Vice President of Product Marketing and Solutions, Pentaho, a Hitachi Group Company. Because other data integration vendors rely on partnerships for visualisation, users still have to switch in and out of separate tools – and the data can’t be visualised until the very end of the data prep process. Pentaho claims to be the only vendor to offer natively combined data integration with visualisation and analytic capabilities. By moving visualisations upstream, users can now inspect data while it’s in flight and at any stage in the data prep process.